Can we imagine ourselves without restaurants around? The thought of food stimulate our taste buds and makes us happy. Cookery shows and mouthwatering recipes not only leave you tempted for the food but also give you the thought of becoming a chef. A Chef not only cooks food but is an artist who also makes the food presentable, making the preparations more tempting. The food service industry is also known as culinary arts. Food service is among the fastest developing sector in the world. With the Indian food industry growing at 11 % annually, it is expected to touch Rs 408,040 crores by 2018. This projected growth is expected to open many opportunities for students to pursue a career in the food service industry. 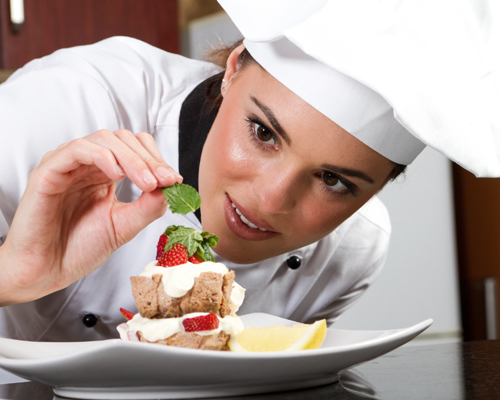 During the last decade, culinary arts have emerged as a preferred career option. The education in culinary arts prepares students for a wide range of career options such as Chefs, Chef Managers, food critics, food photographers, entrepreneurs, concept developers for health foods, Sommelier, culinary advisors and Celebrity Chefs among many others. However, along with knowledge of culinary arts, it is also important to know how to manage people, control costs and attract customers in order to succeed in this increasingly competitive industry. For the right blend of curriculum, students need to choose the right educational institute which will add the right flavor to their career. While choosing the institute, students should look for a curriculum which will equip them to meet the challenges of the industry. Besides, the students should be introduced to other elements of the industry like finance, nutrition and sanitation etc.